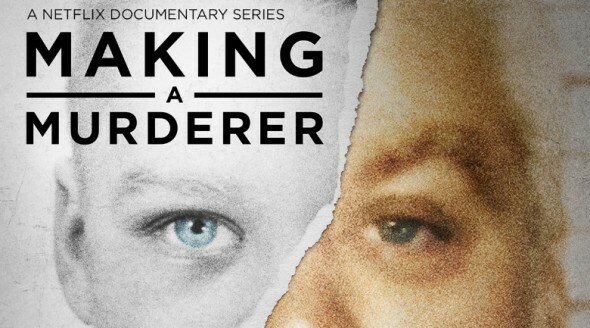 Earlier this month, we reported Investigation Discovery was going to air its own Steven Avery special in response to Netflix’s popular Making a Murderer doc series. Now, ID has announced their special, Steven Avery: Innocent or Guilty?, will air on January 30th. The special will be hosted by Dateline NBC’s Keith Morrison. The ID special is intended to shed light on information and evidence left out of the Netflix doc series. Released on December 18th, Making a Murderer followed the strange case of Steven Avery, a Wisconsin man who was exonerated after serving 18 years in prison for a crime he did not commit. Then, only a short time later, he was convicted of murdering a 25-year-old woman under questionable circumstances. Many involved with the case have criticized the documentarians, Moira Demos and Laura Ricciardi, for skewing the facts to make Avery look innocent. Demos recently said she’d be open to making another season of the doc series as the case is still ongoing. In the meantime, ID’s special will offer “an in-depth look at it all” with new interviews from key players in the case like Avery’s defense attorney Jerry Buting and former Calumet County prosecutor Ken Kratz. (Silver Spring, Md.) – Steven Avery. It’s the case of the moment, a national obsession with more than a half million people calling for his release. When the Netflix series “Making A Murderer” premiered in December 2015, national outrage erupted over possible miscarriage of justice. With many questions surrounding the conviction of Avery, Investigation Discovery (ID) lays out the details from all sides in STEVEN AVERY: INNOCENT OR GUILTY?, premiering Saturday, January 30 at 9/8c. Produced by NBC News’ Emmy Award-winning Peacock Productions and hosted by veteran journalist and Dateline NBC correspondent Keith Morrison, STEVEN AVERY: INNOCENT OR GUILTY? reveals the latest intriguing developments in the story, and takes an in-depth look at it all: the evidence, the key players and controversy surrounding the case. In addition to the U.S. premiere, STEVEN AVERY: INNOCENT OR GUILTY? will premiere in more than 100 countries, including the U.K. beginning on Saturday, January 30th on ID: Investigation Discovery and other Discovery networks. What do you think? Did you watch Making a Murderer? Do you think Steven Avery is innocent or guilty? More about: Investigation Discovery TV shows: canceled or renewed?, Making a Murderer, Making a Murderer: canceled or renewed?, Netflix TV shows: canceled or renewed?, Steven Avery: Innocent or Guilty?, Steven Avery: Innocent or Guilty? : canceled or renewed? Innocent. When will police, attorney’s and media stop tampering with evidence? Media gives their biased reports way to often.